This is a test of two parts. 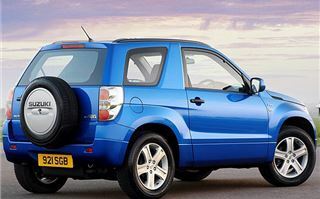 First the remarkably RAV-4 like Suzuki Grand Vitara 1.6 3-door. 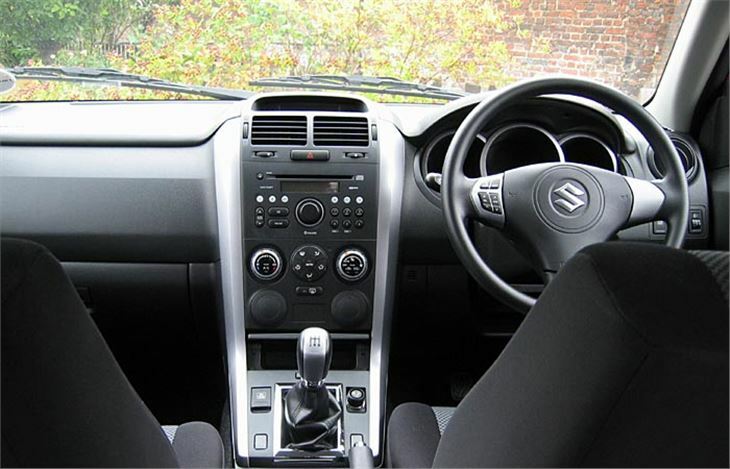 Then, separately, its big sister, the 5-door Grand Vitara with a 2.0 litre diesel engine. 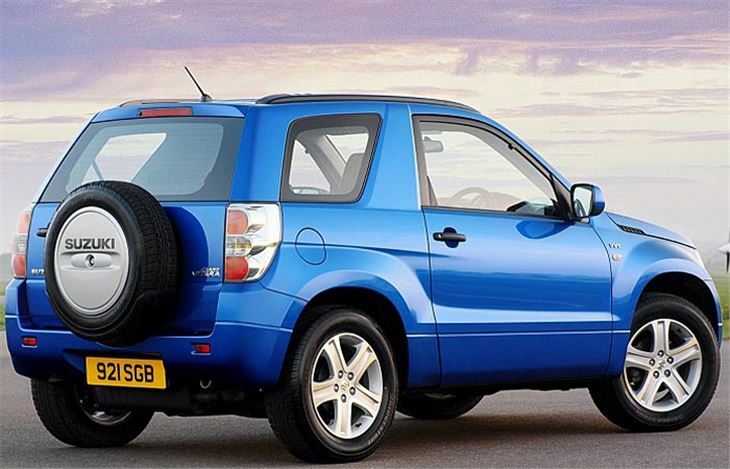 It may not go down well with everyone, but I really like the styling of the 3-door Vitara. 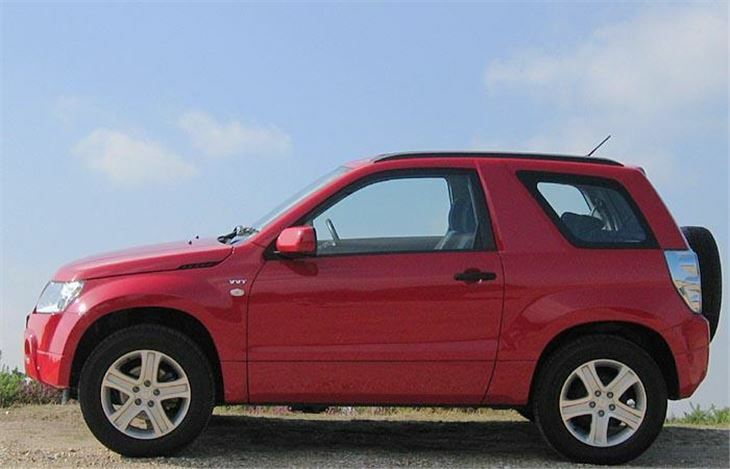 The car is about as close as it possibly could be to the old 3-door RAV-4 without infringing some sort of artistic copyright. 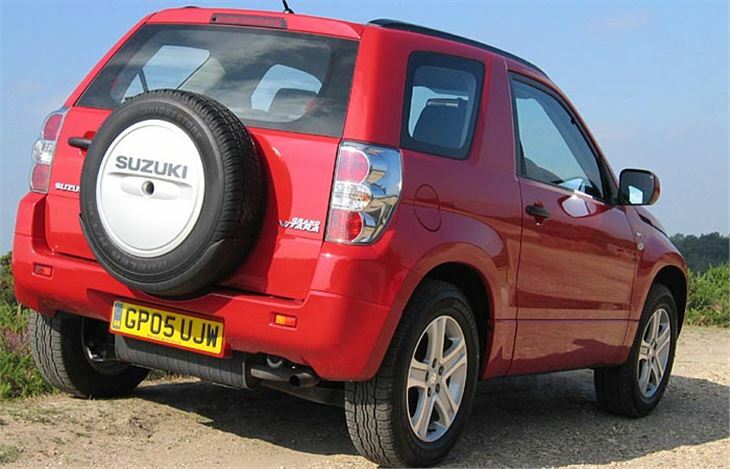 And, since you can’t buy a new 3-door RAV-4 any more I can see woman buyers frocking to a Suzuki dealer near them. You get up into the car very easily thanks to no sill at all and a nice, high driver’s seat. 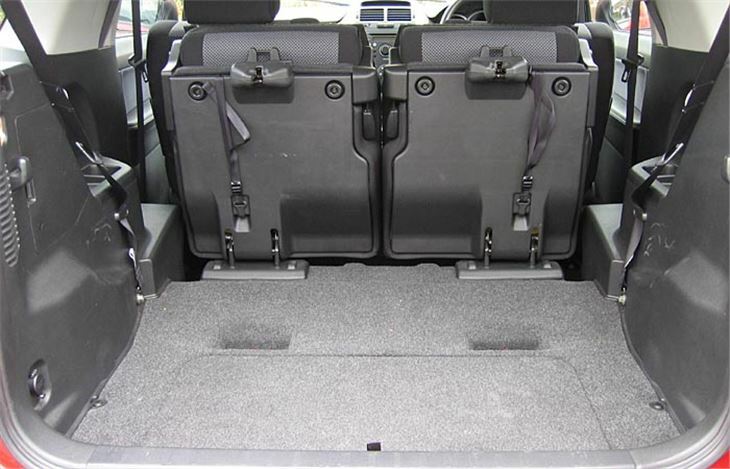 Despite the short cabin there’s plenty of room for a five foot niner behind a five foot niner and the rear backrests recline slightly to make the seats decently comfortable. 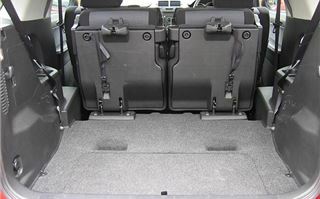 If you have a dog, the rear seats tumble-fold forwards (just like the old RAV-4’s) leaving a flat floor and the side-opening rear door (also just like the old RAV-4’s) leaves a sill low enough for even a Yorkshire Terrier to jump in. I used the car to shift some heavy boxes of books and they were very easy to load. 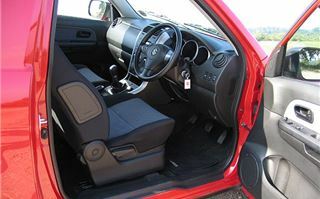 The door has a gas strut that makes it stiffer to push when you are about to obscure the offside rear lights with the spare wheel. The disproportionately massive, Tonka toy 225/65 R17 Bridgestone Dueller tyres, standard on all 2006 Grand Vitaras, not only look good, they ride ‘speed cushions’ and kerbs very well indeed (one good reason for running an urban 4x4). 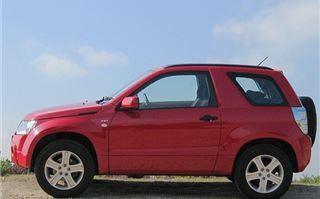 However the short Vitara doesn’t drive quite like a short RAV-4. The main reason is it’s basically rear-wheel-drive whereas the RAV has always been basically front-wheel-drive. So though it has rack and pinion steering and fully independent suspension you have to make allowances for its height and short wheelbase. And out on the motorway you soon find it’s fitted with a speed limiter. This comes in the form of exceptionally low gearing, offering a mere 18 miles per thousand rpm. You don’t need a calculator to tell you this equates to a lot of noise if you try cruising at 80. You just need a pair of ears. The big mirrors make it easy to watch the traffic coming past you, and, of course, easy to park because you can see the kerbs. You quickly get used to the way it drives, though. About town the low gearing allows block changing from 3rd to 5th and it’s perfectly happy in 5th at 30. A clever feature is the way the soft side body colour rubbing strips blend into the bodywork so well you don’t think there are any until you feel them with your hands. It’s not economical. The combined figure is 32.5mpg and the urban figure is 26.6. And it didn’t arrive full so when I brimmed it after 170 miles on the trip the average of 38.2 can’t have been accurate. So that’s something to bear in mind. About the same consumption as a MINI Cooper, which isn’t economical either. 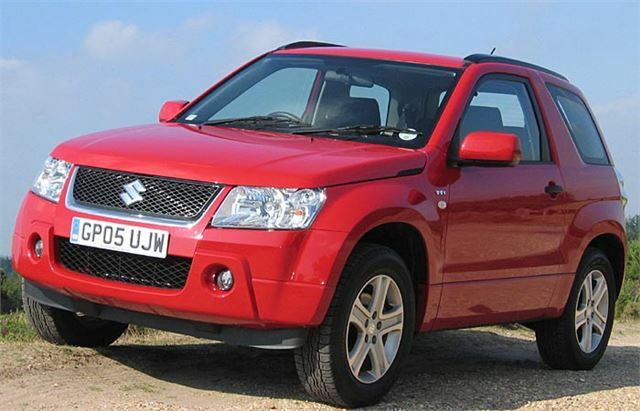 And, though a completely different car, is probably on the same wish list as a short Grand Vitara. The icing on the cake would be an automatic. I liked it, though. I can understand criticisms that it’s not a proper 4x4 but very few people who buy one will want a proper 4x4. It’s an oddball car, chosen simply because people like its cute and chunky looks rather than for any logical, rational reason. And for townies it’s brilliant over speed humps.